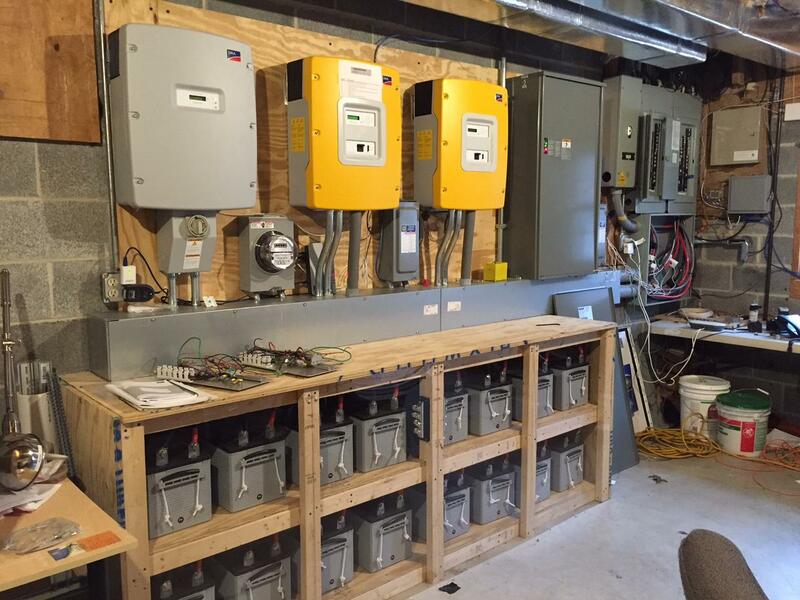 Revising W.Va.'s Net Metering Standards: A Boon or Bust for the Solar Industry? Charging station at Mountain View Solar. In the first days of the 2015 Legislative session, energy was the focus of legislators’ attention. A bill that first began as a total repeal of the alternative and renewable energy portfolio act soon became only a partial repeal as lawmakers’ attempted to leave in place current net metering standards. Those standards govern the way solar energy is calculated and credited between a customer and an electric company. As the legislative session progressed, however, another bill relating to those same net metering standards came to lawmakers’ desks. The overall opinion of the new bill, which has been signed into law, is mixed. 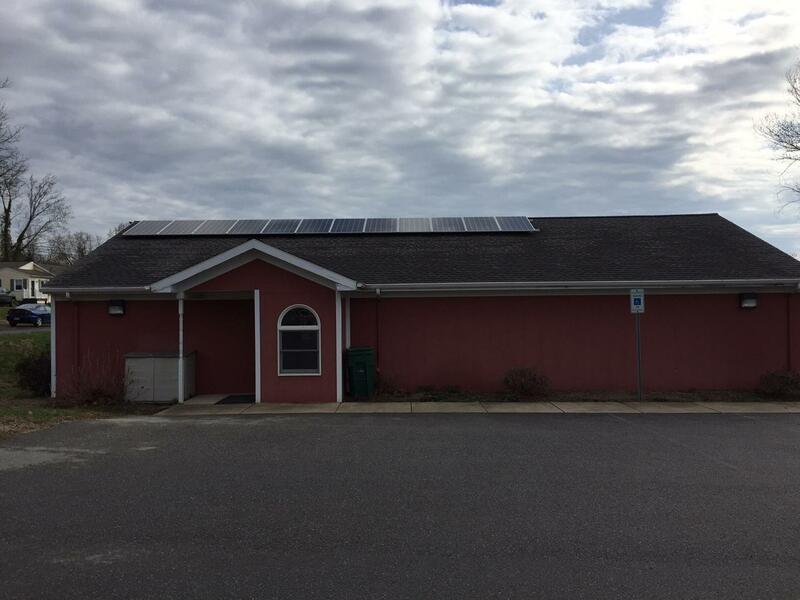 The Bolivar-Harpers Ferry Public Library in the Eastern Panhandle had solar panels installed on their roof in January and in just a few short months has already started seeing the benefits. Gretchen Frye is the director of the Bolivar-Harpers Ferry Public Library, and she says in March, the library saw an 8% decrease in its electric bill which can make a big difference for libraries who struggle for funding. The back of Bolivar-Harpers Ferry Public Library and its set of solar panels. Frye says as the weather gets better she expects their electric bill to continue to drop. Mountain View Solar installed the library’s solar panels. Located in Berkeley Springs, it’s the largest solar installation company in the state. Mike McKechnie is the company’s president and he explains one of the major differences between buildings that use rooftop solar and buildings that don’t is the way the electricity generated is metered. Homes with solar panels use a different meter though called a net meter. That excess power is collected from the homes where it’s generated, returned to the power grid and ultimately sold by the power companies. Instead of being paid for generating power, net metering rules written by the state’s Public Service Commission in 2011 dictated solar customers receive a credit for the power they generate. They can then use the credit to buy power from the utility when they generate less than they need. Those rules, however, were part of the state’s alternative and renewable energy portfolio act, an act that was repealed this session. Democratic Senator Herb Snyder of Jefferson County was one of many lawmakers concerned with the repeal. 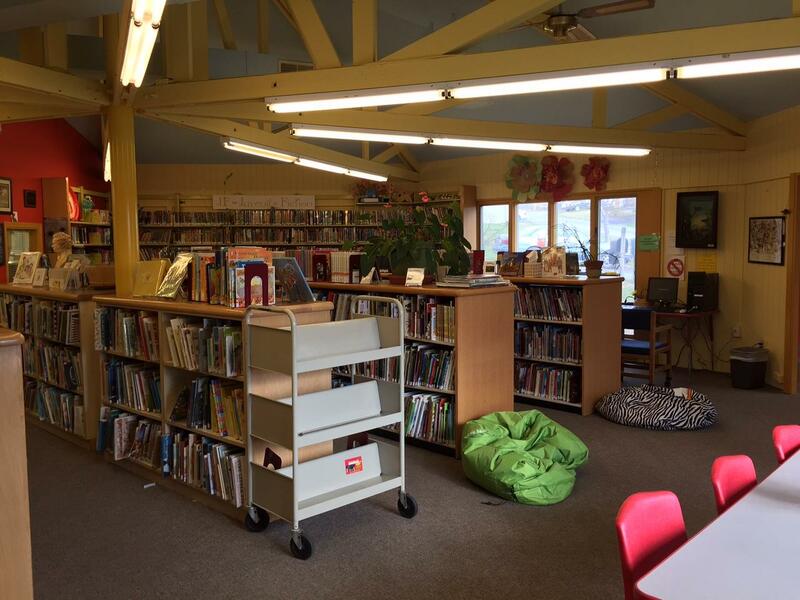 Inside the Bolivar-Harpers Ferry Public Library. The alternative and renewable energy portfolio called on electric companies in West Virginia to produce 25 percent of their electricity with alternative and renewable sources by 2025. But this session, lobbyists from the coal industry told lawmakers the standards were hurting the mining industry, even though utilities testified they were already meeting the production standards. As the bill began to move through the process, Snyder and other members of the Eastern Panhandle lobby grew more concerned that a repeal of the portfolio would result in a repeal of the net metering rules that protected solar panel owners. “I immediately picked it up and said we really don’t want to do this, so instead of trying to carve that out of the original repeal, they originated another bill to put that back in code,” Snyder said. House Bill 2201 was meant to do just that; put those rules back in code. Approved and signed into law, the bill requires the state PSC to rewrite the net metering standards. McKechnie says he and other solar energy advocates are not happy with the bill. McKechnie believes the large utility companies want the PSC to rewrite the rules to uproot rooftop solar by charging the ratepayer more money without receiving credits for the energy they are producing. Backup batteries inside Mountain View Solar. Senator Snyder however supported the bill after hearing from those companies in committee meetings before the bill’s passage. “The power companies are saying, positively, and my question in committee, I put them on the spot, is, are you going to increase the fees or costs to homeowners and small libraries and so forth, and they said positively not, no, now I have to take them at their word on that for something I’m not an expert on,” Snyder said. Snyder says as it was explained to him, the additional cost will come for some solar producers, but those are producers with large solar farms, not homeowners with smaller numbers of panels. “They’re looking predominantly at the larger solar farms that are owned by probably investors, one or many, to build these power generation units solely for the sake of selling power onto the grid,” he explained. Snyder says installing the net meters into these large facilities can be costly and utilities want to ensure that under the new rules those costs won’t be passed along to the consumers, whether they produce solar power or not. Jim Kotcon is the Chair for the Energy Committee in the West Virginia Chapter of the Sierra Club, a group that advocates for solar and other renewable energies. Kotcon says the Sierra Club would like to see net metering expanded under the new PSC rules. Senator Snyder, however, says he thinks once the Public Service Commission evaluates the current net metering standards; it’s likely those standards will stay as they are.